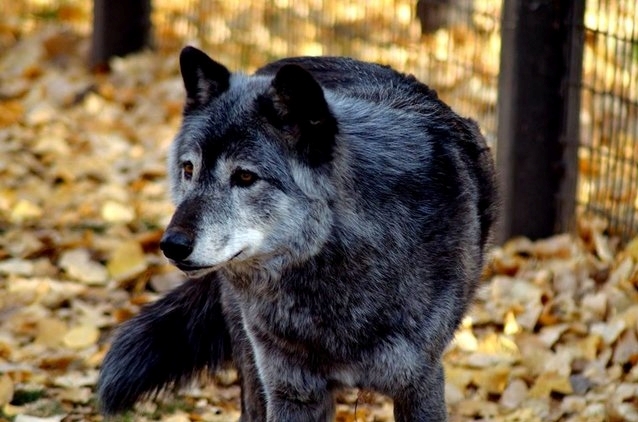 A senior grey wolf named Kali was one of the most beloved animals at the Calgary Zoo in Alberta, Canada. When the zoo was working on a promotional video last year, Kali was featured in it. As the public decided on Canada’s greatest animal species in an online survey, beautiful Kali represented the winner – the wolf. She was beloved. 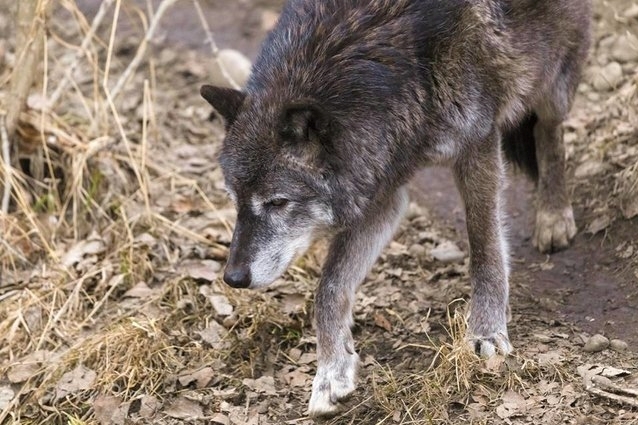 In spite of that, last month Kali the wolf was put down by the zoo. The reasons for Kali’s euthanasia are uncertain and very dubious. Although she was not a young animal, at 14 years old Kali was still enjoying her life and was fairly healthy. 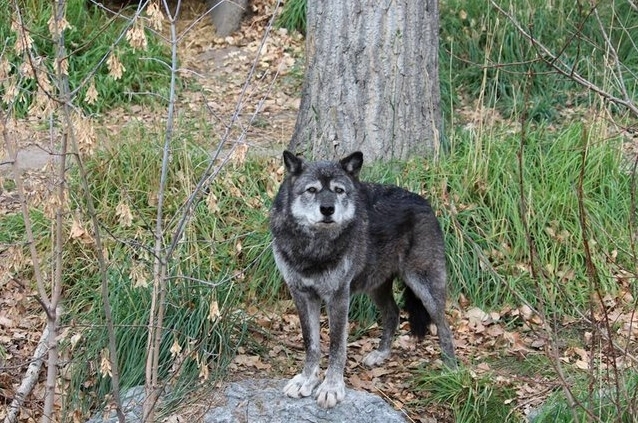 According to a report from a zoo employee who wished to remain anonymous, the only reason Kali was euthanized was because the zoo wanted to make room for younger, “cuter” wolves to be on display – wolves that would make more money. This staggering reasoning and the incident as a whole is a perfect example of the problem with zoos. Since they are profit-oriented establishments, conservation efforts and animal welfare can take second place to raking in dollars. Many zoos take part in euthanizing “surplus” animals who do not make a profit anymore and carry out captive breeding programs that only serve to produce more “cute” young ones. Since these animals will never be able to live in the wild after years of relying on humans, they cannot contribute to wild populations and effectively do nothing to conserve the species overall. If the Calgary Zoo wanted to make room for other animals, they could have chosen the humane option and transferred Kali to a sanctuary, which would even be an upgrade to her quality of life. Moreover, this is not the first time the Calgary Zoo has been the center of attention due to troubling news about their inner workings. In 2016, several of their most popular animals passed away under mysterious circumstances – they included seven penguins, more than three dozen stingrays, an otter, and a capybara. It’s clear that whatever is going on at this zoo is NOT in the best interest of the animals. Click here to sign a petition asking Calgary officials to intervene and shut down the zoo. The best way to help animals like Kali is to NEVER purchase a ticket to a zoo or another animal attraction that is focused on human entertainment over animal welfare. Rather than seeing animals in the zoo, you can visit accredited animal sanctuaries that allow animals to live in an environment that is as natural as possible. 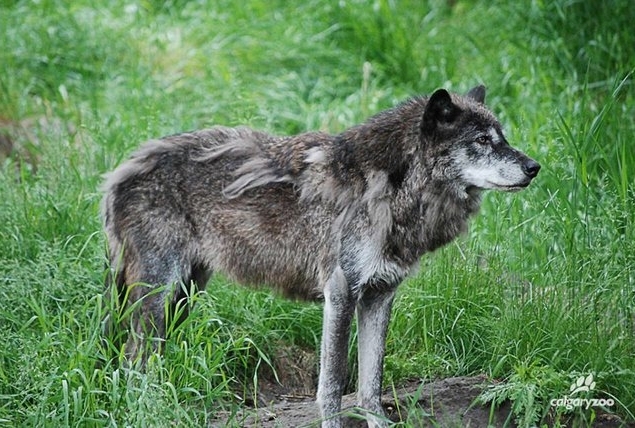 Responses to "The Calgary Zoo Euthanized a Wolf to Make Room for ‘Cuter’ Pups "